Ichikawa, known for combining information technology with design to re-imagine the physical space, creates an installation that intersects digital and analog. Built on an imaginative ideology that everyone is the center of the world, a visually infinite number of hanging vertical strings are used to represent the world’s individuals. Each hanging vertical string is simultaneously illuminated by a single light source and yet not one is in the shadows; a representation that each individual perspective is its own center. Through the use of technology and innovative design thinking, the seemingly impossible is achieved. 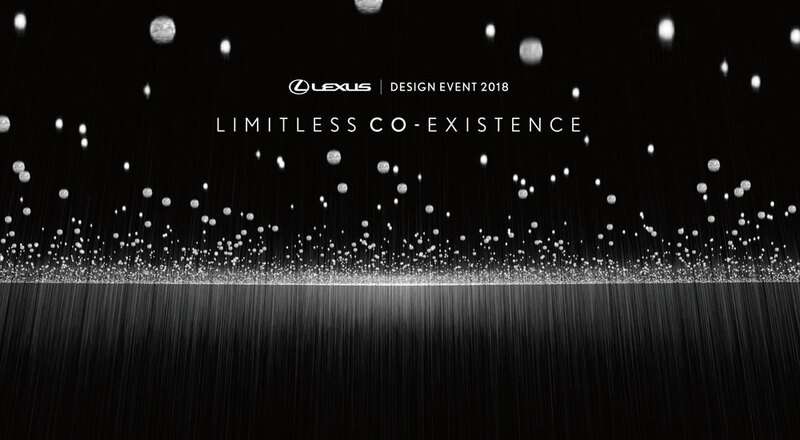 There are other elements to the Lexus Design Event, including a “unique culinary experience” from Milan’s ALTATTO chef collective and the display of all twelve finalists from the 2018 Lexus Design Award. This is the eleventh year in a row that Lexus has produced an event for Milan Design Week — for a retrospective on previous installations, check out this article on the Lexus International website. Limitless Co-Existence will run from April 17-22 at the Museo Nazionale della Scienza e della Tecnologia Leonardo da Vinci in Milan, Italy.